October may be the time to think about picking pumpkins and enjoying everything under the sun dubbed pumpkin spice, but September is ripe for apples. Peaches are pretty much past and berries are long gone, but apple trees all over the Upstate and into North Carolina are heavy laden with fruit. Apples, in fact, are one of the largest fruit industries in America. The U.S. Apple Association (USAA) reports 240 million bushels of apples grown annually result in a $4 billion crop. Apple festivals abound this month; plus, as weather cools, the tendency of cooks and bakers everywhere is to pull out favorite apple recipes and find new ones. A huge benefit for apple lovers, besides nutritionally, is that the fruit has a long-shelf life. 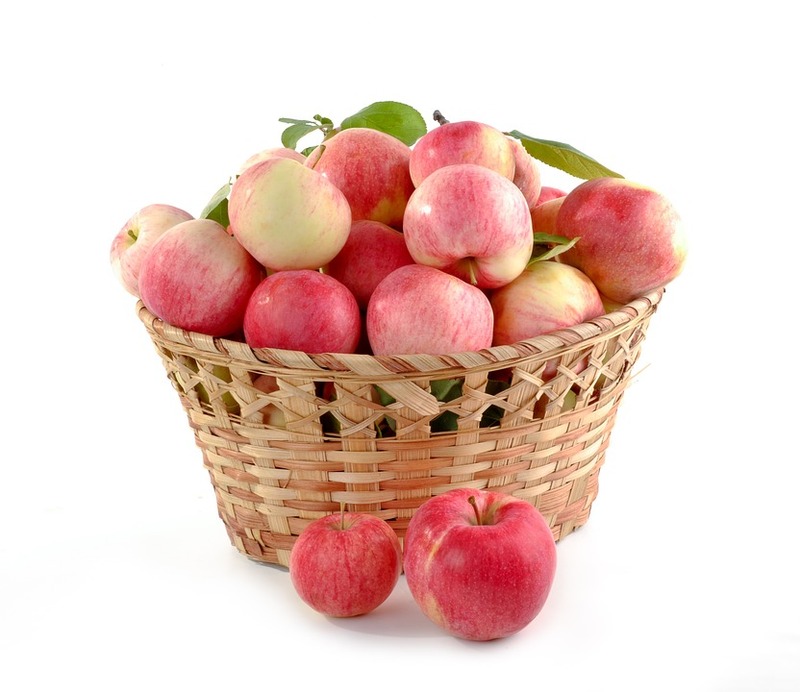 Unlike peaches that must be eaten quickly, apples can last weeks and even months if handled properly. There are ways to take care of apples to keep them fresh. – the larger the apple the faster spoilage will happen. 1) A refrigerator crisper drawer is the best bet – stored alone, they will not take on any smells from other fruits and veggies. 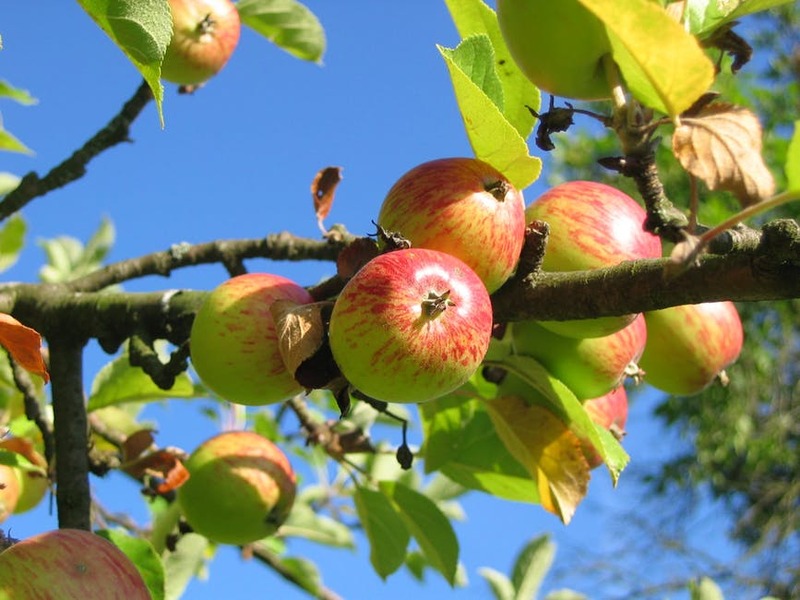 2) Check daily to make sure no apples in the bunch are rotting – “one bad apple spoils the whole bunch” is a real thing. 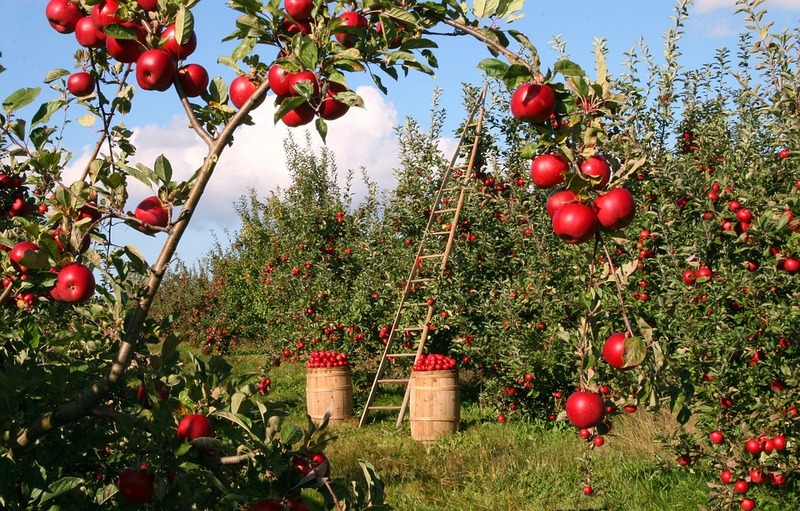 3) There are specially designed apple racks that help preserve large quantities of apples. While apples are not as easy to freeze as some fruit, such as berries, it can be done. Sites such as USAA’s teach how to dry-pack freeze or syrup-pack freeze. Frozen apples can be used later in cooked recipes. With a dehydrator, apples can be dried and stored in air-tight containers to eat as snacks or to reconstitute and cook later. – Honeycrisp, which are sweet, a little tart, and almost always crisp. – Ginger Gold, which are a pale yellow-green in color and have a tangy crunch. – Fuji, which are sweet and crisp and small- to medium-sized. – Granny Smith, which are notoriously tart and great for apple pies and cakes. – Rome, which are also used for baking because their flavor is enhanced when they are cooked. – Golden Delicious, which are the sweet/tart apple many choose for snacks. Many from Columbia make a day of it and visit the popular Sky Top Orchard in Flat Rock, North Carolina. This orchard is a sensory experience. Not only do the fragrant ripening apples beckon, but so does warm apple cider and fresh-made apple cider doughnuts. There are at least a dozen varieties of apples on about 70 acres. A picking schedule is on Sky Top’s website. Individual, families, and friends can grab a basket, head to the ripe orchards, and start picking. Or, the on-site store features bins of just-picked apples and opportunities to taste different varieties before selecting and/or picking. USA Today named Sky Top Orchard as a 10 Best Readers’ Choice 2017. Pre-heat oven to 350 degrees F. Grease muffin cups or use foil baking cups. 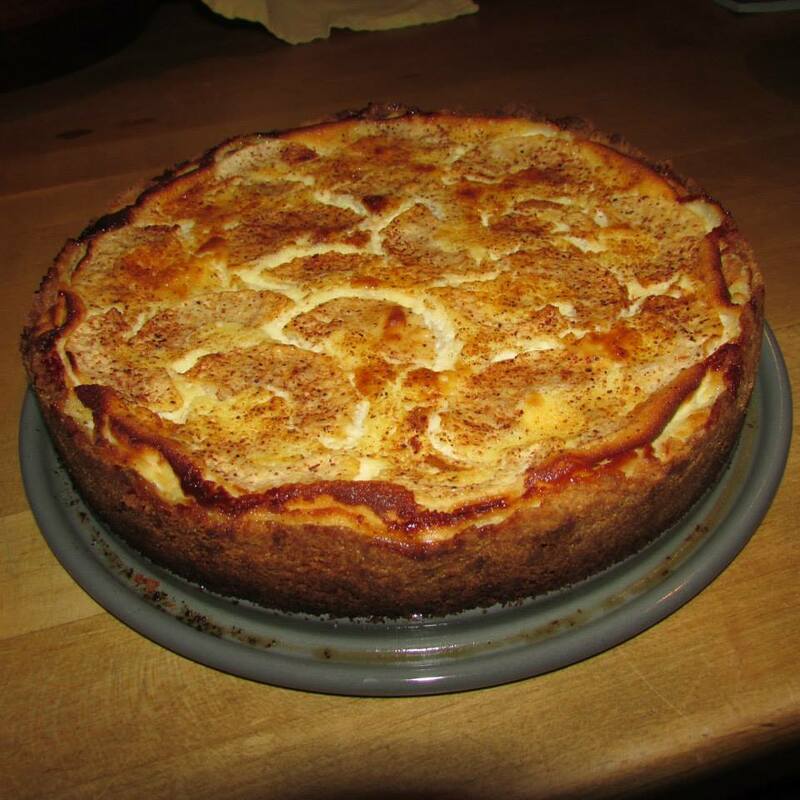 Put streusel topping ingredients into a medium bowl and mix with a fork until very crumbly. Set aside. Make muffin batter by combining dry ingredients in a bowl. In another bowl, combine eggs, sour cream, and melted butter and whisk until well blended. Stir in diced apples, then add dry ingredients and mix until just moistened. Scoop batter into muffin cups, filling about 3/4 cup full. Top each muffin with about 2 teaspoons of the streusel topping. Bake 20 to 25 minutes, until browned. A toothpick inserted into the center should come out clean. Remove from pans and let cool at least one hour before serving. Combine the cream cheese, cheddar, and brandy in a bowl. Beat until smooth. Peel, core, grate the apple, and add it to the bowl. Add the basil, oregano, thyme, and pepper, and stir until thoroughly combined. Spoon the mixture into a crock; cover and chill for about 1 hour. Serve on toast points or crackers. Do not despair if fresh apples begin to soften or one part of an apple has a bad bruise. Chutneys, baked apples, applesauce, apple pancakes, pies, breads, muffins, and more are easy to make with apples past their prime. Plus, most apple recipes do not have to include a single variety. Mix it up! To make the pastry, mix flour and sugar and cut in butter until it is crumbly. In a separate bowl, beat egg yolk and vanilla and add to flour mixture; combine well. Press dough into a 9-inch springform pan and press halfway up sides. Layer apple slices on the crust. In another bowl, beat softened cream cheese with a mixer. Add sugar and then eggs, one at a time. Add the 1 teaspoon of vanilla. Pour over apples and bake for 50-60 minutes or until lightly browned on top. Let cool and then carefully unhinge the spring on the springform pan and remove. Keep the cake on the bottom of the pan. Cut and serve. Can be eaten warm or cold – for dessert with a big glass of milk, with afternoon tea or coffee as a snack, or for breakfast.